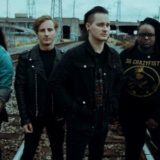 Tetrarch are the latest group to be featured in Gear Gods edition of “Rigged”. Check out their gear setup below. The group’s latest record Freak is out now and available for purchase at TetrarchMusic.com, iTunes, Amazon, and Google Play.